Whether it’s a thumbs up on your new outfit or a pat on the back from your boss, endorsement feels good. For brands and social media marketers, recognition is all about verification. Companies crave the blue checks that appear on everything from YouTube to Twitter and Facebook. In fact, 71% of US businesses use Instagram. This makes the image-sharing app one of the biggest battlefields for brand recognition. As companies scramble to get on top, Instagram verification shows your audience that you’re the king. It’s major bragging rights diluted down into a tiny blue stamp–and we all want it. The trouble is, figuring out how to get verified on Instagram isn’t simple. When posting cute puppy pics doesn’t work, what’s next? What Does It Mean to Be Instagram Verified? Instagram verified simply means that your account is legitimate. It tells the world that you are who you say you are, and offers instant credibility. Instagram created verification to reassure users that they were following the right people. 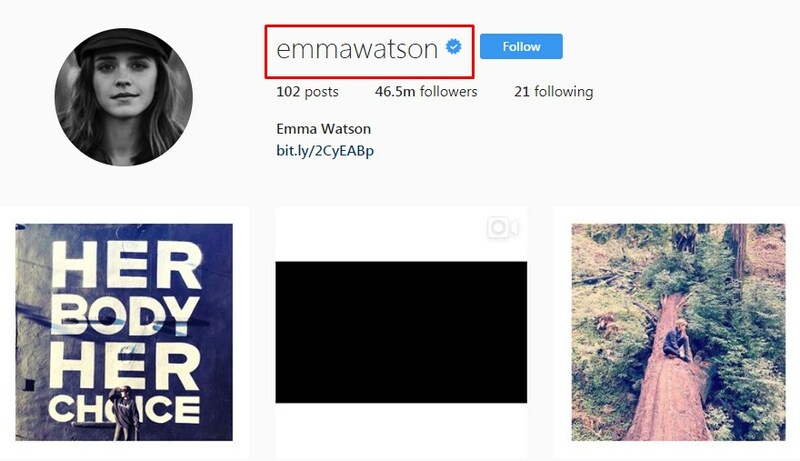 When you see the check you know you’re actually following Emma Watson–not just a Harry Potter fan-fic writer with a Hermione shrine. There’s another benefit to getting Insta-verified too. That check sets you apart from your competitors and gives you another way to stand out. Even if you’re an up-and-coming West-End star, you still might not be Instagram verified. 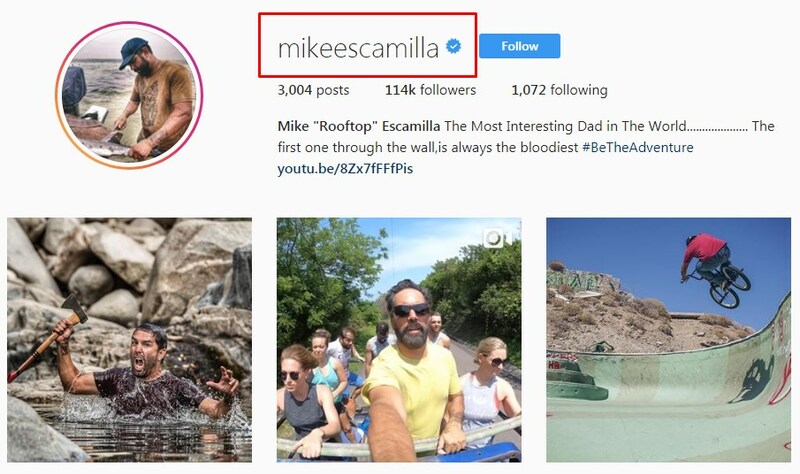 The fact that most people don’t know how to get verified on Instagram is part of what makes it so appealing. If just anyone could get verified then we wouldn’t want it so much. So, how do you become one of the lucky few? Do You Need to Have a Huge Following to Be Instagram Verified? Here’s the biggest problem with Instagram verification. A check on your account makes it easier to gain followers. It places you at the top of the search results and improves credibility. However, most articles out there on “How to get verified on Instagram” say that you need a huge following for a chance of verification. The good news? That’s not exactly true. It turns out that your Instagram follower count isn’t as important as you thought. In fact, you might get verified faster if you have fewer followers on Instagram. Look at it this way. The point of Instagram verification is to show the social community that they’re interacting with the right brand. If you have thousands of followers on Instagram and no possible clones, then Instagram won’t see you as a high priority for verification. On the other hand if you don’t have millions of followers, Instagram verification could be the best way to help people find you. If you don’t need a huge Instagram following to get verified, what do you need? The first step is to build your presence elsewhere. Establishing a strong following on other platforms makes your account appear genuine. You’ll need to pick parallel platforms to get the best results. For instance, there are strong lines between Twitter and press announcements. That’s because politicians and journalists use Twitter to get the word out. As a visual platform, Instagram has strong connections with Musically and YouTube. 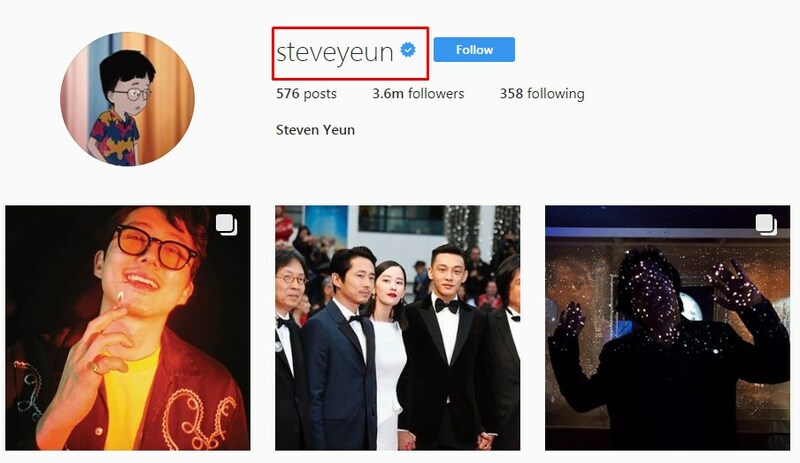 Glenn from The Walking Dead or Steven Yeun, as he’s known to friends, has a strong following on Facebook and Instagram. Building your personality with a consistent voice and theme: A lot of brands try a shotgun approach to connecting with their audience. However, it’s much easier to make a strong connection with people if you show your unique voice online. Post frequently: With any social network the more active you are the more likely you are to convince people to engage with your account. Develop great content: Just as you’d post great pictures on Instagram to improve your following you should be developing insightful content for your other channels too. Find out what your followers are looking for from you and adhere to their needs. While claiming that your identity is at risk might feel a bit like crying wolf–this tip comes to you straight from Instagram. About 80% of Instagram’s users follow a brand on the app. They want to know that they’re connecting with the right people. Letting Instagram know that you’re at risk of being impersonated pushes them to act. Don’t be vague with your account or start creating fake accounts. You still need to play by the rules if you want to get verified. Just don’t aim to be the first person that pops up when someone searches your name. Keep a low profile and wait to be spotted. While keeping a low profile is a good tip–don’t let your account go stale. You’re never going to be Instagram verified if you don’t use the platform. When admins come by to see if you’re worth verification they’ll be looking for regular activity. If you’re not using the platform, there’s no benefit in initiating the verification process. Stock up on great photos: Instagram is all about the aesthetics. Influencers earn followers because they know how to appeal to their audience. Find out what your followers like to see on your page and get snapping. Take advantage of Insights: Head to your Instagram business page and use your Insights to plan content that resonates with people on your feed. Make sure to post at the time when your followers are most active. Use tools like Sprout Social to learn more about your social followers and adjust your campaigns. Engage: Don’t forget to spend time responding to comments, liking posts and exploring relevant hashtags. Engagement is key on any social platform. 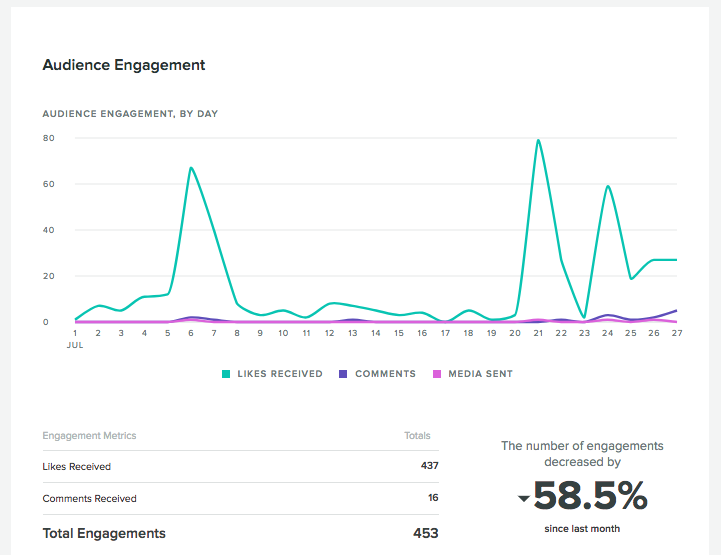 Sprout’s Instagram Audience Engagement Report provides detailed insights into trends, hashtag usage, likes and other engagement metrics. This is critical for any brand trying make analysis easier across accounts or brands. Try a free 90-day trial today! Want Instagram to give you that seal of approval? Show them you’re worth it. Google yourself to see what comes up. Nothing? That’s not the greatest sign. If you’ve got no personal brand, there’s nothing to verify. Remember, it’s not an algorithm deciding who should get a blue button on their Instagram account. Real people review every request manually and they head to Google when they want to find you. If you have a lot of national press about your company then you have a better shot. Don’t try to trick Instagram into thinking you’re legitimate either. The folks here aren’t clueless. They know how easy it is to throw up a Wikipedia page. Writing a Wiki about yourself isn’t going to get you any bragging points. If you want to improve your chances of verification and you’re miles away from getting a result, start working on your digital presence. Work with a PR agency, post plenty of content or reach out to influencers. However that’s not totally true. Work with or for a large digital agency that represents celebrities. Many of these companies already have an “in” with moderators who fast-track requests. Get in touch with support. The Instagram verified support team is notoriously difficult to catch, but try messaging them anyway. Sending persistent requests and explaining your case might eventually make a difference. Splash your cash on Facebook ads: Remember, Facebook and Instagram are connected. Spending money on Facebook could give you a way in with the verification team. Ultimately, figuring out how to get verified on Instagram involves working out how to sell yourself. You’ll need to make the right connections, have the perfect background and refine your account. It’s tough, but that’s why the verification badges are so highly sought-after. Is Getting Instagram Verified Worth It? There’s a lot of planning and effort involved in Instagram verification. The process is way too annoying to do it for bragging rights alone. Make sure you have a good reason before you get started. Fortunately, there are plenty of benefits to being verified, from better brand credibility to a stronger social search presence. Verification differentiates you from the crowd and makes it easier for you to reach the people that matter most to you. Used correctly, it makes you more popular on social media and boosts your conversion rates. All you need to do is show that you’re worthy.